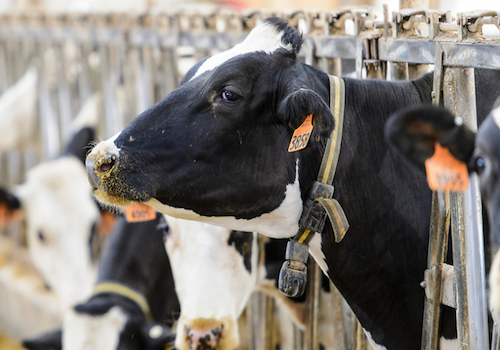 Living in Wisconsin — the dairy capital of the United States — we can easily take for granted the nutritional benefits of milk, says Heidi Busse, University of Wisconsin-Madison postdoctoral research fellow. Wisconsin’s reputation as a dairy capital is giving Busse the chance to develop unique partnerships in countries, such as Ethiopia, where milk is not as available. While Ethiopia has the largest cattle population in Africa, the country’s milk consumption is one of the lowest in the world. Thanks to a 2017 Global Health Institute Seed Grant, Busse is able to work with partners in Ethiopia and Wisconsin to develop the School Enrichment and Livelihoods Accelerated Through Milk (SELAM) project. It aims to establish a pilot school milk program to address child malnutrition and chronic food insecurity among children in three regions of Ethiopia. The project’s goal is to develop a school milk product that can be piloted and served in schools, with the ability to increase the number of schools reached. Busse and Michel Wattiaux, a professor in the Department of Dairy Science, in the College of Agricultural and Life Sciences, are principal investigators for the project. Almost 40 percent of Ethiopian children are stunted and about 25 percent are underweight. The proportion of undernutrition varies greatly by region, Busse says. Poor child and maternal nutrition in Ethiopia is not always associated with just income — feeding practices and behaviors play a role too. Prior studies of school lunches, especially in sub-Saharan Africa, found an unintentional negative impact when children are fed school meals. If families know their children will be fed meals in school, it can affect how much food children receive in the home. Busse wants to be sure that doesn’t happen with the SELAM project. “Recognizing food and the nutrients it has by [seeing] food as medicine — because when you’re deficient in micronutrients it impacts your health — opens up a different, more holistic model of health,” she says. Milk is an important source of calcium and magnesium and is vital for physical and cognitive growth and development. 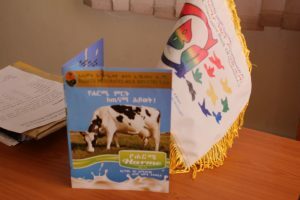 To help find solutions about how to best introduce milk into school meals, Busse also received a GHI Visiting Scholar Award to work with Mestawet Taye, director of the School of Livestock and Rangeland Sciences at Hawassa University. Taye will be in Madison in early September. One key gap Busse’s Ethiopia colleagues realized is the lack of milk quality standards. Drinking milk should lead to improved nutritional status, but if milk is of poor quality or isn’t handed the right way, it can cause more harm than good. Consumers pay the same price regardless of the milk’s quality. 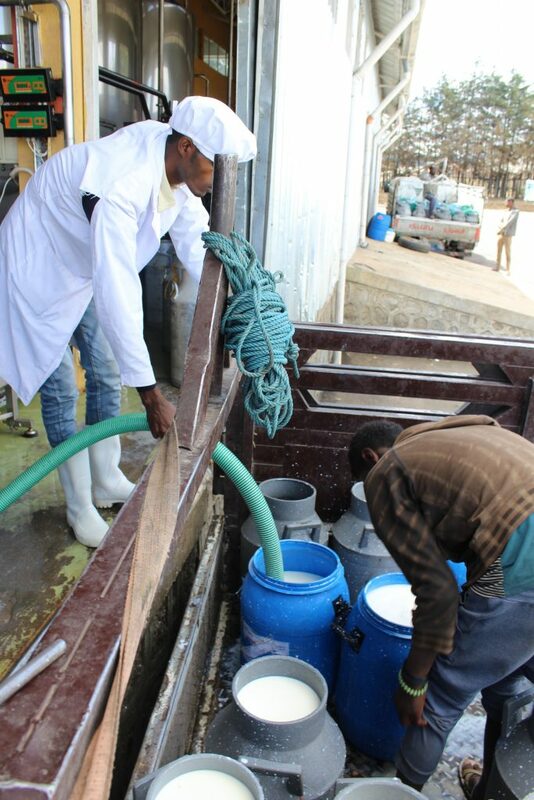 Taye’s research will be shared with the Ethiopian Ministry of Livestock, and other agencies, to help inform the establishment of milk quality standards and determine what makes the most sense for different size dairy farms. Another question Busse keeps coming back to is whether or not fluid milk is the best way to deliver the product to schools where electricity isn’t reliable. When Taye visits later this year, she and Busse will explore whether other dairy products made in Wisconsin can lead to a new solution. Introducing dairy in some schools will face challenges from local food and religious customs, so Busse is working with Catholic Relief Services to develop a nutrition app that addresses beliefs and practices. In Ethiopia, for example, many Orthodox Christians don’t consume food from animal sources more than 200 days a year. Involving adolescents is important because they are a critical part of Ethiopia’s current and future leadership, Busse says. The app will allow students to access nutritional information, as well as community services and social support services. It will also give schools and students a chance to voice challenges and make suggestions for school meals. Busse emphasizes how her Ethiopian colleagues in Hawassa University have been crucial in developing this vision and recognizing the potential in Ethiopia for improved livestock development. Several departments have committed time and energy to understand nutritional challenges and community innovations. This project shows how interconnected communities across the world are, Busse says. The Wisconsin Idea has always been there to help ensure the university is responding to the needs of the community but it’s so hard to put boundaries around what a community is. Heidi Busse collaborated with Hawassa University’s School of Nutrition and Food Science Technology director Fikadu Reta to write a blog post about five lessons they learned from teaching a research methods course together for graduate students at Hawassa University.